McGillin’s has 30 beers on draft. The historic tavern is committed to Eastern Pennsylvania breweries and serves a large selection of regional microbrews such as Stoudt’s, Sly Fox, Saint Boniface, Lancaster, Tattered Flag, Levante, Dogfish Head, Philadelphia Brewing, Brewery ARS, Old Dominion, Flying Fish, Pizza Boy and Troeg’s beers on tap, as well as bottled beers. McGillin’s proudly serves O’Haras Irish Stout. the ONLY Stout brewed exclusively in Ireland! Three house specialties — McGillin’s Real Ale; McGillin’s Genuine Lager and McGillin’s 1860 IPA — are brewed in Adamstown by Stoudt’s. McGillin’s serves more of Stoudt’s draft beer than any other tavern in Pennsylvania. 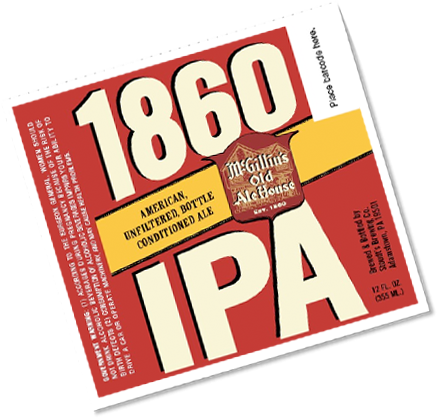 McGillin’s marked its 150th Anniversary (in 2010) with the launch of its own beer, called McGillin’s 1860 IPA. It’s unfiltered, as it would have been in the 1800s, and is made from a secret recipe with multiple hop varieties including centennial and amarillo. A crisp hop flavor and aroma with a slight maltiness and medium body round off this quaffable ale. 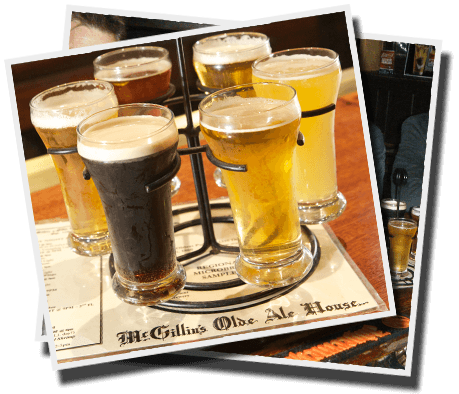 Try our famous BEER SAMPLER – select six drafts for $9.50: McGillin’s Ale, McGillin’s Lager, McGillin’s 1860 IPA, Philadelphia Brewing, O’Reilly’s Stout & Seasonal Brew of Choice.